University of Ulsan : Alien Registration. 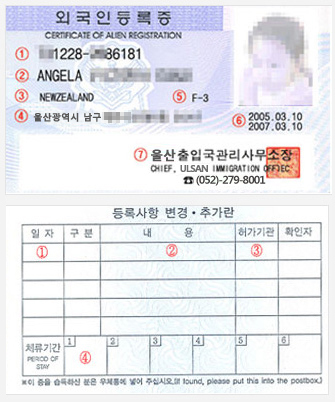 All international students are required to do the Alien Registration within 90 days from the arrival date at Ulsan Immigration Office. UOU International Office will help students to do the registration during the International Student Orientation. * It normally takes 4 weeks until the Alien Registration Card is issued.